The struggles of the middle class are something Hillary Clinton once admitted in a paid speech she is “far removed” from, thanks to the “fortunes” she and her husband “enjoy,” a WikiLeaks-posted email shows. She also admitted she “did all she could” for Wall Street to prosper. These are just two excerpts from the numerous paid speeches Clinton gave to Wall Street giants behind closed doors between 2013 and 2015. Her remarks would never have seen the light of day, but an email found among over 2,000 “Podesta emails” has now shone a spotlight on what Clinton was telling Goldman Sachs, Morgan Stanley, Deutsche Bank and others in between her job as Secretary of State and the current presidential campaign. “Team, attached are the flags from HRC’s paid speeches we have from HWA. I put some highlights below. 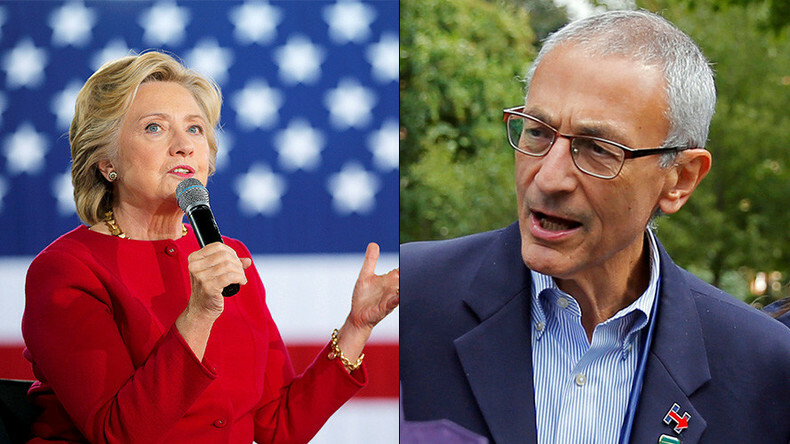 There is a lot of policy positions that we should give an extra scrub with policy,” Tony Carrk, the research director of the Clinton campaign, wrote in the email to John Podesta, the campaign chairman, and others on January 25, 2016. The agency also arranged Hillary Clinton’s speeches, which earned $675,000 from three events at Goldman Sachs and reportedly $3 million for speaking at banks and financial firms. Carrk “flagged” some 25 excerpts that he titled, presumably highlighting the parts the campaign had to take care of: “CLINTON ADMITS SHE IS OUT OF TOUCH,” “CLINTON SAYS YOU NEED TO HAVE A PRIVATE AND PUBLIC POSITION ON POLICY,” and “CLINTON ADMITS NEEDING WALL STREET FUNDING” to name a few. Clinton’s links to Wall Street is something that she and her team have been trying to downplay since the start of her presidential campaign in April 2015. However, excerpts from her speeches, most of which she gave in front of Goldman Sachs people, show the scale of her “cozy relationships” with Wall Street. In 2014 speeches, Hillary Clinton expressed her pro-Keystone pipeline views, the opinion she appeared to have changed just recently. Clinton has long been under intense pressure to release transcripts of her paid speeches to corporations. A poll released in June showed that nearly 60 percent of surveyed voters wanted transcripts of her speeches released.